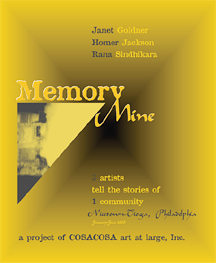 Download pdf copies of COSACOSA publications! Please see the list and links below for specific information. 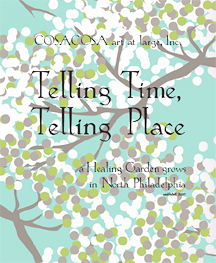 Please note that many of our print publications include project song/story CDs and/or films on DVD. Check back periodically for additional downloads, as we continue to digitize our twenty-five years of publications! Please click on the publication image to download pdf. 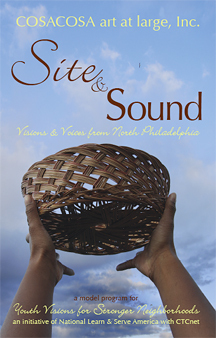 Voices of Community, a CD of original songs and poetry; and Visions of Community, a 30 minute film on neighborhood history and hopes on DVD. 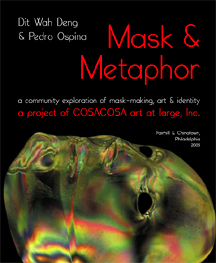 and We Wear the Mask, a CD of historic and original poetry created by COSACOSA youth. Growing, Rising, Exploring, Loving, Sailing, Soaring! 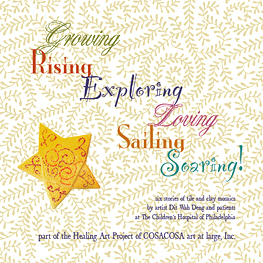 includes images of the creation of a six-story high mosaic "poem" with pediatric hospital patients. 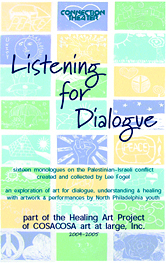 a CD of sixteen monologues on the Palestinian-Israeli conflict, and original poetry and linoleum prints by North Philadelphia youth. 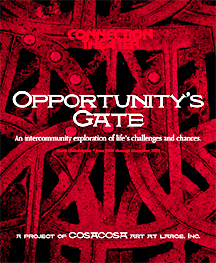 images of a whole-school mosaic project, and Opportunity's Gate, a 30 minute DVD of six theatrical vignettes by COSACOSA youth, all about opportunity. 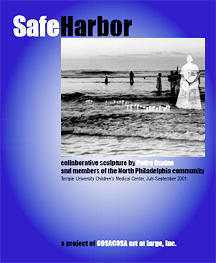 images of community sculpture and website creation; and The Sound of His Voice, a CD examining the role of men in the community. 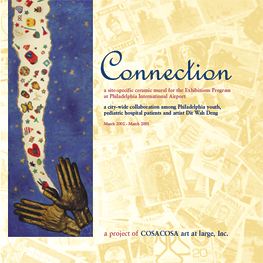 and images of citywide collaborations among youth to create over 1,200 ceramic objects on the question "What connects us to each other?" and shared stories of healing from community members of differing ages, backgrounds, and abilities.